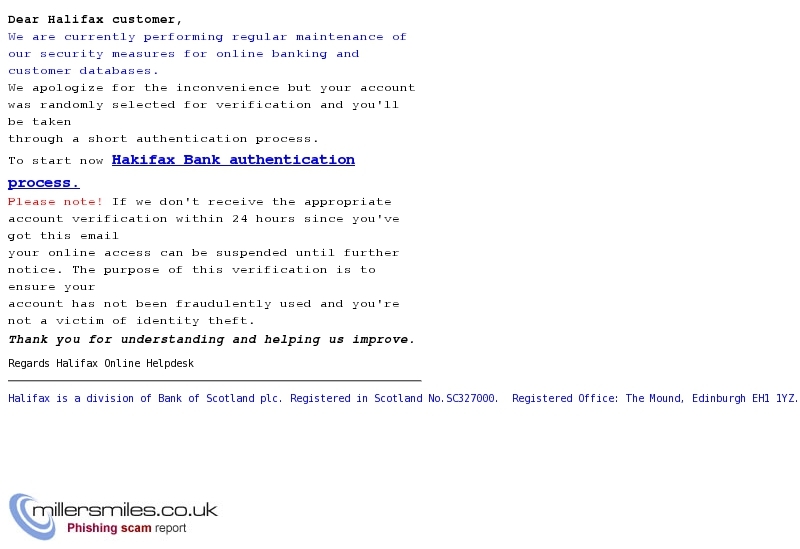 1) Hakifax Bank authentication process. 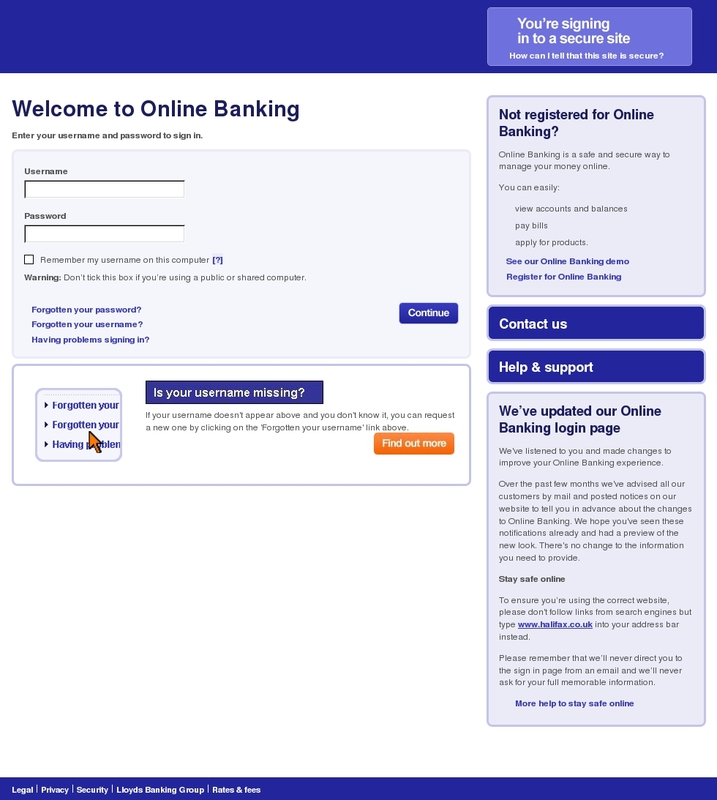 online banking and customer databases. through a short authentication process.